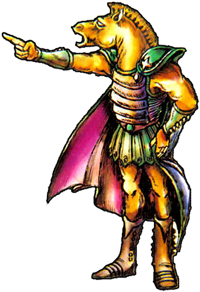 The Horsehead is the first Boss in Zelda II: Adventures of Link, and guards the Parapa Palace’s temple statue. 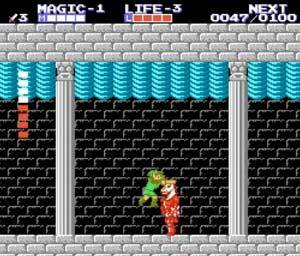 be weakend if Link jumps and attacks his head during the battle as seen in the screenshot. This was one of the last submissions for Link’s Blacklist Round II and made by Jmatchead who participated in multiple Game Art HQ Art Projects already! “Horsehead kind of scared me as a kid. He’s just got an unsettling design. There isn’t a ton of fan art of the guy, so I tried to give him a somewhat unique look. 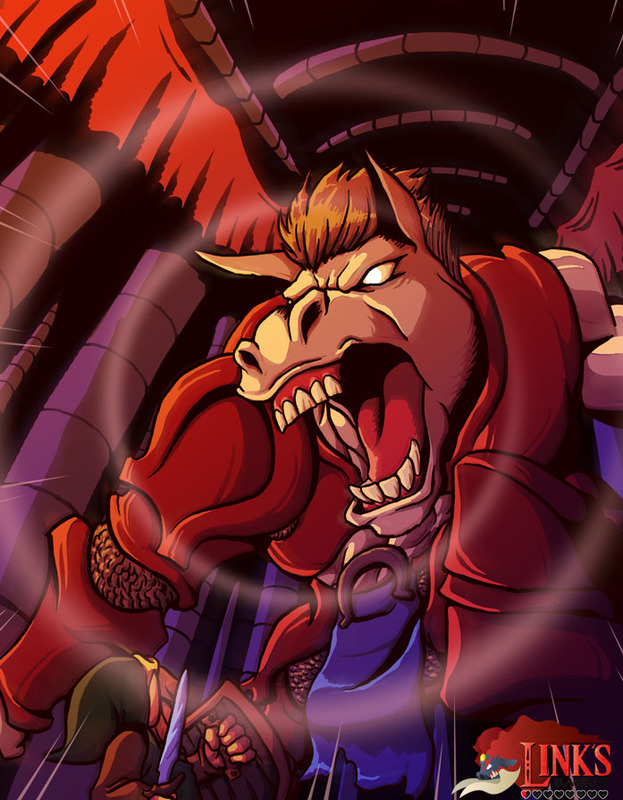 It might be a little corny to have the horseshoe theme a bit so obvious. 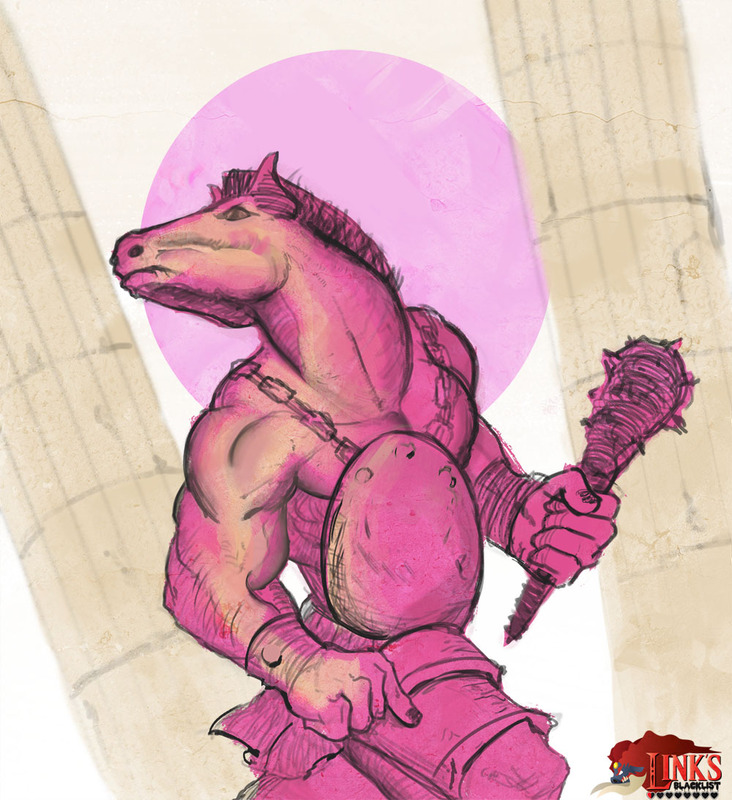 Our second Illustration of the Horsehead was contributed by Chris Zesiul as one of the first submissions for Link’s Blacklist IV in March 2014.